Youth in Arts Store at 917 C Street is open Monday-Friday 10 a.m. to 4 p.m. and during announced evening and weekend events. We are open from 5-8 p.m. on the second Friday of each month for ArtWorks Downtown’s 2nd Fridays Art Walk. Special Holiday Hours: December 18-22, 2017, 11 am to 6 pm! 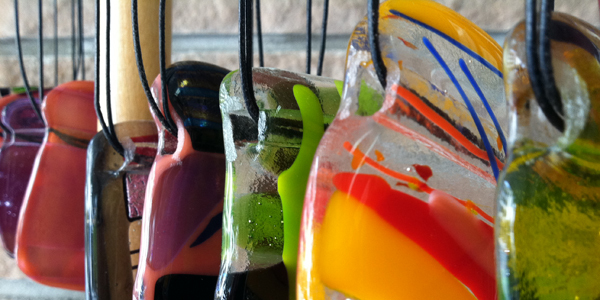 Our store features artist-made jewelry, glassware, CDs, cards and other gift items. Items in stock change regularly, and much of the work we feature was created by Mentor Artists who teach in our programs. We have a few student-made items as well, along with books and art items for children. All purchases benefit Youth in Arts’ programs for North Bay youth and their families. Local artists also benefit from your purchases of their work. We do not operate an online store, but if you have particular interest in purchasing an item from our store, but can not come in, call us at 415-457-4878. We’ll do our best to assist you! To purchase `Til Dawn CD’s click here.